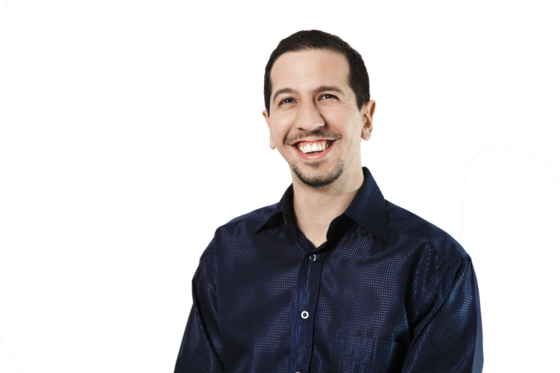 When you start a work at home or freelance business, one thing you need to do fast is manage your workload. There are dozens of tools out there to help you do that all requiring different levels of investment. But after more than 10 years of running my own freelance writing business, I found that one essential tool, that’s both simple and free, is Google Calendar. It’s the easiest way to get started with scheduling, and you can always add on other functions later, if you need to. One of the big plusses for me is that I’m a Gmail user (branded to my business via Google Apps). For me, and the rest of the 900 million people who use Gmail, using Google Calendar allows you to easily add calendar events right from the inbox. You can also easily create tasks and have them show up in your calendar. In other words, when you use Google Calendar, you can have one space where all your stuff shows up. Like other calendars, Google Calendar also stays in sync across devices. If, like me, you’re using a desktop, laptop, tablet, or phone at different times, being able to access your schedule from anywhere and know it’s up to date is also important. Here’s how I use Google Calendar with my own freelance work. In the past, I used multiple calendars, one for personal events and another for business-related events. I stopped doing that a few years ago and now the main calendar holds both work and personal events. This works for me because I don’t share my calendar; if I did, I’d definitely have a separate one for business. Know when I’m going to have to wait for a response to an email or message. 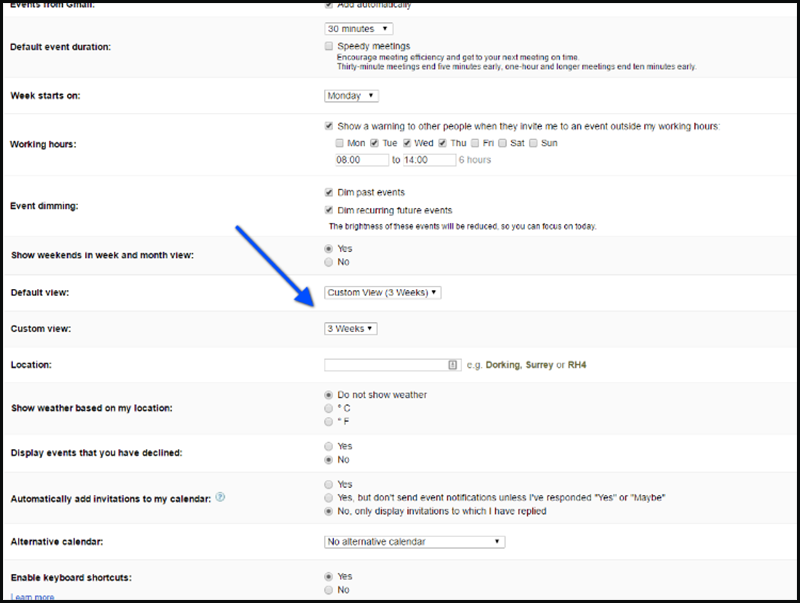 To add these calendars, login to Google Calendar and click on the settings arrow. Click on “calendars” and scroll down to “other calendars.” Then click “other interesting calendars” on the right. There’s a huge list of holiday and other calendars you can add. I also have a birthday calendar. While this is mostly social, not business, a few of my clients have crossed the divide. Including the birthday calendar means I can send them a greeting at the appropriate time. Here’s how you can export birthdays from Facebook to create your own birthday calendar. You can also show birthdays for your Google contacts—here’s Google’s tutorial on how to do this on different devices. Over the years, I’ve tried a number of approaches to managing deadlines, tasks, and events in Google. But all had pros and cons and some tools didn’t work consistently in the way I wanted. Google Tasks, for example, put a task list at the side of my calendar and in my email, but I couldn’t always get the full overview that I wanted. Other task managers didn’t allow me to set up recurring tasks. Still others made it difficult to deal with incomplete tasks, and not all of the tools integrated well with Google Calendar. For a while, I used a tool called Gqueues, which worked cross-platform, but every now and then it would stop working well with Google Calendar, so it had to go. Then I started simply using events as tasks within Google Calendar itself. This allows me to set start and end times, so I can see at a glance whether I have time to take on new projects. And it means there’s integration with actual timed events like client phone calls. The key to this process is understanding how much time particular projects take. For example, if I’m writing a 1000-word post, I know I’ll spend half an hour on initial research (to come up with a good pitch); a few more hours on in-depth research and writing (once I’ve been asked to write the article), and then a couple more hours on editing and polishing. Now I add two or three events to my calendar for each writing job. For the post mentioned above, I’d add one task for initial research, another for in-depth research and writing, and a third for editing and delivery. In general, the research and writing. For me, there was just one thing missing: the ability to automatically move incomplete tasks to the following day. About a year ago, I found a tool that would do just that. Called Hashtag ToDo, it allowed you to create events on any device and have them added to your calendar by appending the hashtag #todo. Anything not done automatically moved forward. Sadly, this tool is being discontinued in May, so I’m on the lookout for another solution. If you want to make Google Calendar into the perfect freelance planner, then here are some tips I’ve implemented that help keep me on track. Add everything to the calendar. If you don’t, at some point you’ll forget something crucial. As well as deadlines and client appointments, I add time to work on my business, deadlines for invoicing, and external appointments (such as medical appointments or coffee with clients). Google Calendar allows you to change event colors so you can color code the different appointments. I use this to keep track of my daughter’s school events. Use reminders. While you can turn reminders on by default, I don’t. Instead, I add reminders manually for things like phone calls, online meetings, webinars and so on. Google automatically sends me a daily agenda, but I usually add an email reminder for the previous day, plus a pop-up reminder for the day of the appointment. Use a view that fits your work life. Google Calendar shows the day, week, month, and agenda by default. But I found that the month view was too small to read easily and the week view didn’t give me the overview I needed. I’ve used Google Calendar’s custom views feature to set up a three-week view. That means a single click allows me to see what’s coming over six weeks. To enable this, go to settings – general and scroll down to custom view. There are several options in the dropdown box. Explore the Labs. 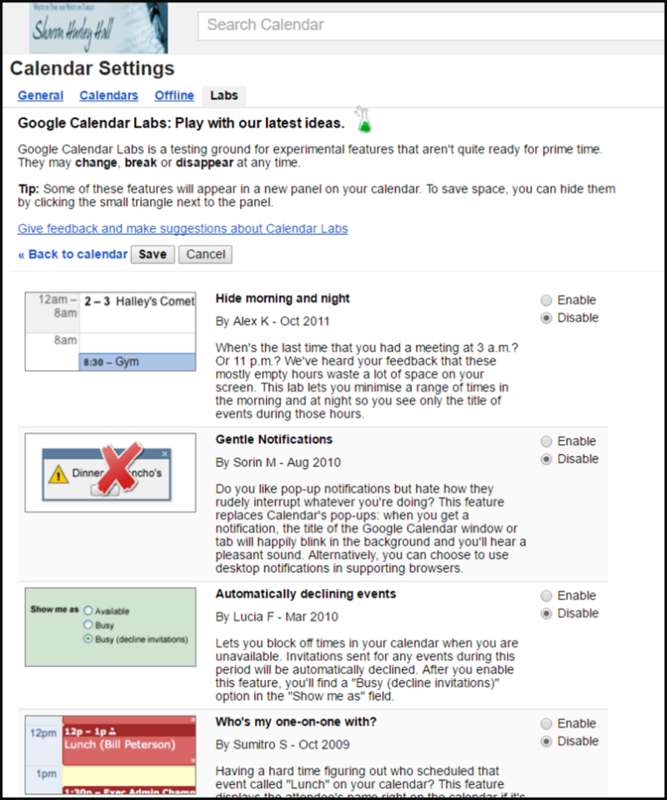 Google Calendar includes a number of experimental features, accessible via Settings – Labs. I’ve tried a few of them, but the most useful is the World Clock, which lets me see different time zones at a glance. This lets me set appointments with people in different countries. You can also include a single other time zone in your main calendar. Since I’m outside the US, I use my local time zone and have added Eastern as my secondary time zone. When I add an event in Eastern time, it shows up in my local time. That’s resulted in a lot fewer time zone surprises. Labs also allows you to block out free and busy time. Arguably the most important, enable offline functionality on your computer, so you can add and see events even if you lose access to the internet temporarily. 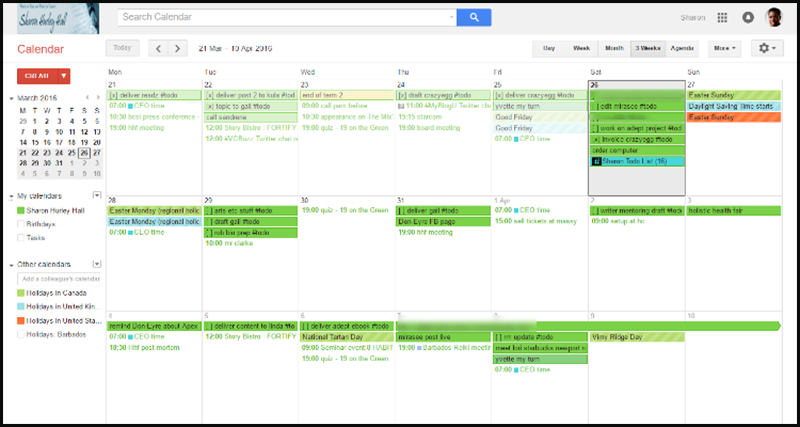 Google Calendar is an excellent tool, useful for managing heavy publishing calendars as well as freelance schedules. It’s a great way to maintain productivity while staying organized, and there are multiple ways to set it up to meet your needs. How do you manage your freelance work schedule? Let us know in the comments below! Glad you found them useful, Owen. It might come in handy for those long-term resolutions. Yes, that could be useful, Maja. I’m also excited about the recent integration of Reminders into the web version – that could be another way to handle to-dos. Where do you keep your master task list? Also, general stuff that just pops into your head ? If it’s something I want to do, then I schedule it on the calendar, Sandy. If it’s an idea for writing, I add it to Scrivener. Everything else goes into Google Keep. I am following a similar approach to manage my tasks. One quick question, how are you managing related sub events ? Thanks, Jitesh, that’s useful – is it available on Github or similar? I think readers who used Hashtag ToDo would find it useful.